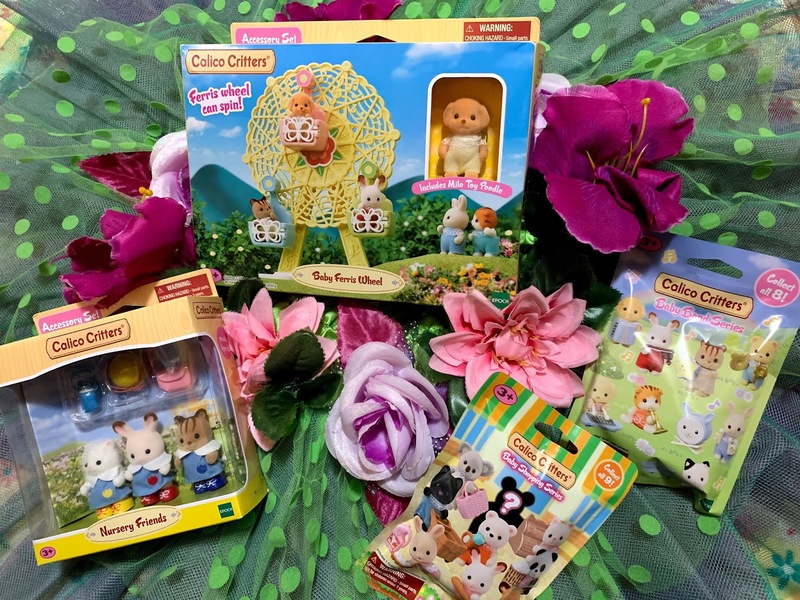 Tiny Bites Food Shears Review & Giveaway! Have you been looking for a great way to engage your pickiest eater? 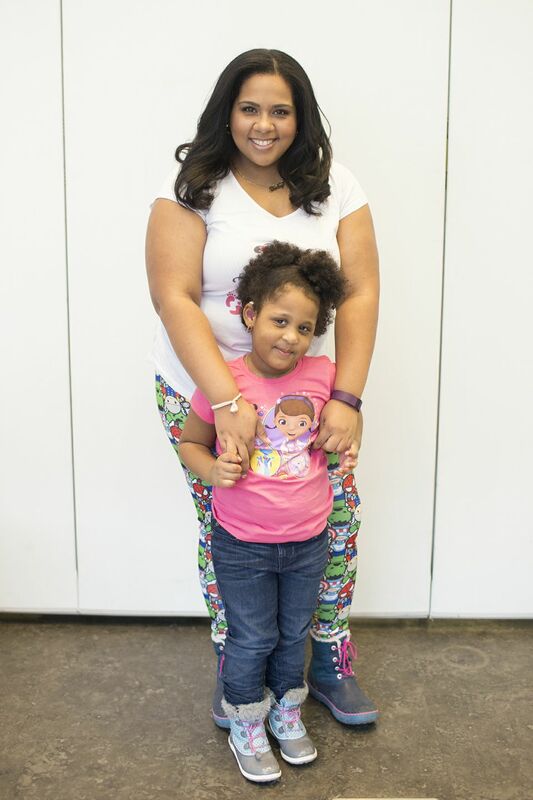 Are you Afraid that the size pieces you cut for you little ones are a choking hazard? Do you want to cut meal prep time in half? I've found the perfect product for you to use at home or on the go from a company called Tiny Bites! 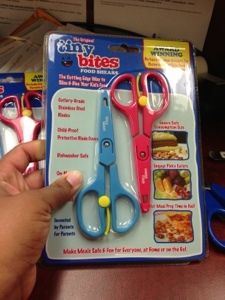 "Tiny Bites Food Shears are award winning portable kitchen scissors designed for parents to easily and efficiently cut their children's food into small pieces to ensure safe consumption." They come in a pack of two (one Red, one blue) which make it easy to travel with one and keep the other home. 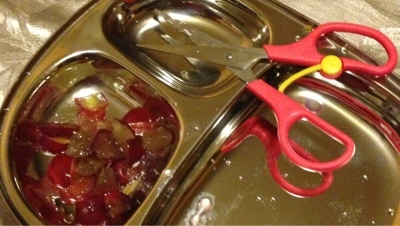 The first thing I used the shears on were grapes for Gabriella. She's only 7 months so the edible pieces for her have to be really small. I created truly tiny "bite-sized" pieces for my baby and she Loved them! 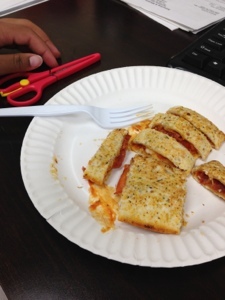 The next thing I did was use my Tiny Bites Shears to cut strips of my Pepperoni Hot Pocket (My Lunch at work)! I was able to eat my lunch without getting burned with the steam coming out after every bite. 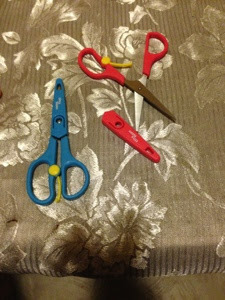 These little shears are lifesavers! I don't know what it is about tiny food or food cut into shapes that intrigue kids, but even the pickiest of picky eaters would still eat the shaped or tiny food. I definitely recommend this product to all moms and dads out there that want to find a better way to cut their children's food or want to get their picky eaters to eat! (1) Winner will get a 2-pack Tiny Bites food shears! Please follow all rules before submitting your entry. I DO go over them and delete the ones who haven't completed certain entry requirements. Disclaimer: A special thank you to Ed of Tiny Bites for providing me with the product mentioned in this post. Although I received this product free of charge, all opinions expressed are honest and all mine. This Post may Also Contain Affiliate Links! nowhere! they don't list MA! Eco Lunchbox Review and Giveaway!